"Fat Tire II" 22x28, SOLD. "Sheridan for Apres" 30x40, $5000. "Into the Backcountry" 9x12, $900. 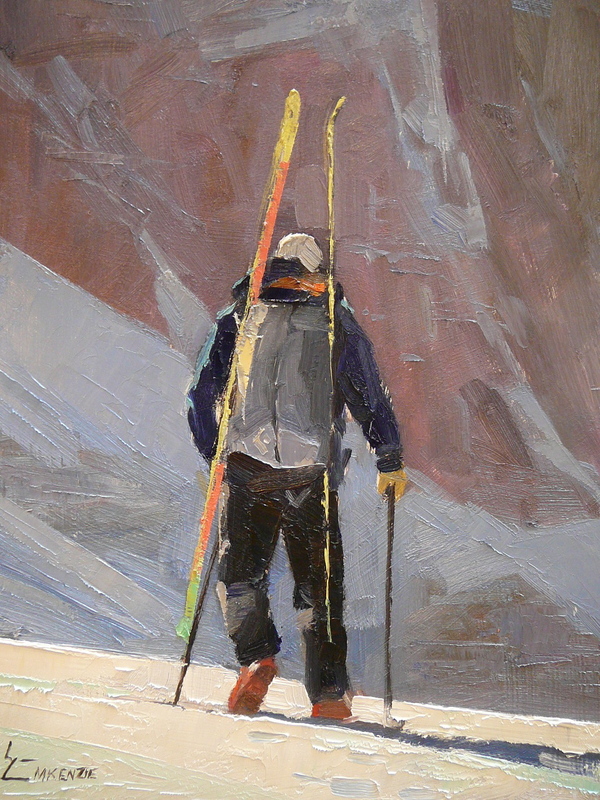 "Up Palmyra Peak" 16x20, $1800. "Into the Backcountry" 16x20, $1800. "To the Peak" 24x30, $3000. 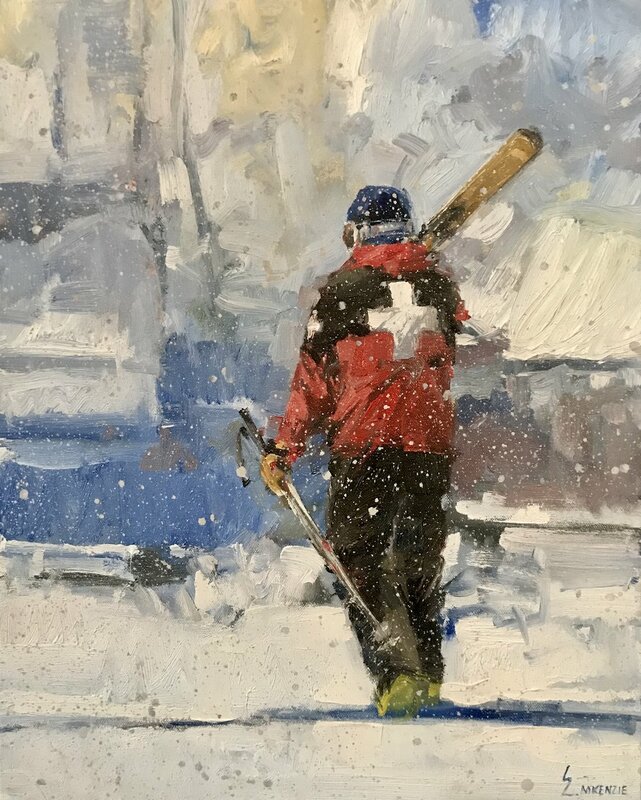 "East Coast Skiers" 30x40, Commission.